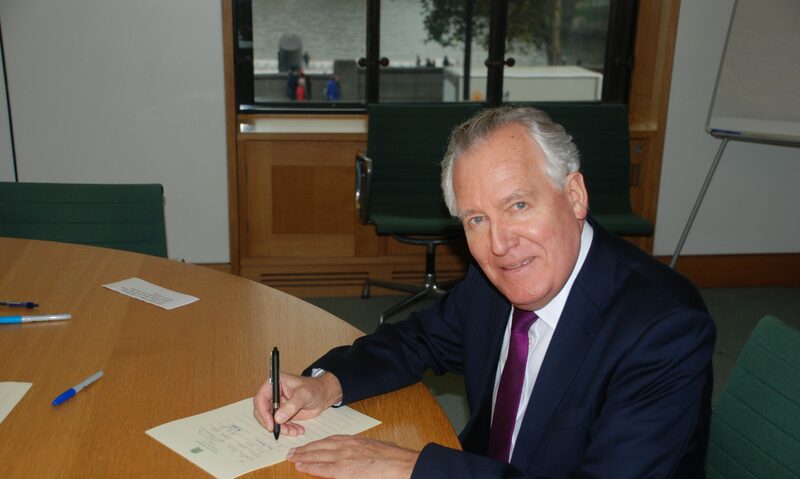 Mr Peter Hain (Neath) (Lab): I commend the hon. Member for Northampton South (Mr Binley) for the excellent points he made, notwithstanding his support for the privatisation Bill. I hope the Minister listened carefully to them, because they illustrate that this is a cross-party matter. There is a genuine fear about what will happen to the Royal Mail. In making those points, I must apologise to you, Madam Deputy Speaker, and to the House that I will not be here for the wind-ups. As a former Secretary of State for Northern Ireland, I need to go and answer questions in interviews, following the Northern Ireland statement. I was privileged to work for the Union of Post Office Workers—as it was called in the 1970s—for 14 years, into its new incarnation, before I was elected to this House. What has always worried me greatly about the competition regime around the Royal Mail is that it is not a level playing field. The Royal Mail’s competitors are not treated in the same way as the Royal Mail. I believe that poses a great danger to the universal service obligation. It does not pose a danger to its existence, which has been provided for in statute under this Government, as has been pointed out—I am not arguing that—although the universal service obligation is not defined. Lady Hermon (North Down) (Ind): Will the right hon. Gentleman give way? Mr Hain: I will in a moment—by the way, this applies to Northern Ireland as well, if the hon. Lady was going to correct me. The easy part, which competitor companies such as TNT obviously seize on, is getting pre-sorted business mail, which is provided to them by the businesses themselves, along with large-scale deliveries from banks, credit card companies and so on. They bring it in pre-sorted cassettes and containers, and then TNT or whoever rushes it down the M4 or whatever distribution network they use. That is cheap to do—indeed, often they dump it back into the Royal Mail, so that it has to do the expensive part of delivering to remote areas. That is the problem. I believe it is a matter of urgency—a point made earlier in the debate—that the Government and Ofcom grasp the problem and sort it out. It cannot wait until late next year; that will be too late for the Royal Mail. If the delay continues, what I predict will happen to the universal service is this. Yes, it will be there in name, but it will not necessarily apply for six days, because that is not in statute. It will not necessarily apply door to door either, because that is not required on a six-day basis. The universal service is required to apply to every address, but “address” is not defined, as far as I know, over six days, and so on. It is therefore no good sheltering behind the commitment in the 2011 Act to honour the universal service obligation. It is not defined, and when we look at the experience elsewhere—in New Zealand, for example, where a similar process was followed—we find a steady erosion of it. Lady Hermon: I am most grateful to the right hon. Gentleman for giving way and for mentioning the remote areas of Northern Ireland, as well as the remote areas of Wales and Scotland. As he has already mentioned that he is a former Secretary of State for Northern Ireland, will he take this opportunity to put on record the enormous sacrifice and courage of postal workers—Royal Mail workers—throughout the worst of the troubles in Northern Ireland? Many paid with their lives, while others were held hostage or very badly injured in bomb explosions. I would just like him to mention that for the record. Mr Hain: I am grateful to the hon. Lady for making that point. She is absolutely right: postal workers—postmen and women—were extremely vulnerable in the terror and the troubles. In some instances they paid with their lives and in others suffered terrible deprivation. That brings us back to the value of the posties we all depend on, especially if we do not live in city centres—we depend on them here as well, but they might be posties from organisations other than the Royal Mail. However, we will not find TNT staff delivering up Snowdonia, up in the highlands or in some of the remote areas of Northern Ireland, which Royal Mail had to do during the troubles prior to the new regime—a point the hon. Lady rightly draws our attention to. Let me emphasise that the problem with this competition regime is that it allows the Royal Mail’s competitors to cherry-pick and cream-skim the most profitable mail. The access charges paid by those competitors to dump their mail back into the Royal Mail, to make sure it gets delivered to the final address when it is in a remote area, are pitifully low. Unless we urgently increase those access charges and unless Ofcom gets out of its sleeping trance on this matter, which the Government might have to instruct it to do, if that is required—I ask the Minister to respond to this point in my absence, for which I again apologise—I fear for the future of the universal service, the quality of that service and the Royal Mail’s ability to provide it, as it is required to do, but which none of its competitors is so required to do.